A veteran law enforcement officer, Stu has worked as a beat cop, an investigator, an instructor of firearms and police defensive tactics and as a member and team leader of a multi-jurisdictional SWAT team. He is trained and qualified as a law enforcement SWAT sniper, as well as in hostage rescue and high-risk entry tactics. Most recently, Stu served for three years with a U.S. Marshal’s Regional Fugitive Task Force - hunting the worst of the worst. Stu’s passion for writing developed during his years in college while obtaining his bachelor’s degree in history. In the years that followed, Stu published three faith-based post-apocalyptic novels – the Action of Purpose trilogy. 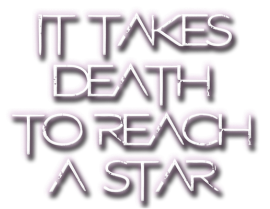 Stu's most recent published work is the award-winning futuristic thriller, It Takes Death To Reach A Star, written with co-author Gareth Worthington(Children of the Fifth Sun). It was published by Vesuvian books in May of 2018. Stu is represented by Italia Gandolfo of Gandolfo-Helin-Fountain literary. He is currently working with Gareth Worthington on the follow-up to "Star" as well as other joint and solo projects. Known for his character-driven stories and blistering action sequences, Stu strives to create relentlessly engaging experiences that readers will return to again and again. When he's not chasing bad guys or writing epic stories, he can be found planning his next adventure to some remote or exotic place. Gareth is an award-winning author, a trained Marine Biologist, and holds PhD in comparative endocrinology. For more than a decade he has worked in the pharmaceutical industry, bringing innovative ways of educating the World's doctors on new medicine. He has lived all over the globe and trains in various martial arts. He is represented by Renee C. Fountain and Italia Gandolfo of Gandolfo-Helin-Fountain literary Management. Gareth's debut novel, Children of the Fifth Sun, was published in 2017 by Vesuvian Books, has been optioned by Vesuvian Entertainment (and will be co-produced by Gareth), for film or television and won the Sci Fi category of the 2017 London Book Festival. It is also a Silver Falchion Award finalist and a Cygnus Award finalist. In addition, Gareth is currently writing two sequels for COTFS and developing a television series in the world of mixed martial arts, based on the highly popular series of books by New York Times Best-Selling author Leslie P. Dover. Gareth is also Director of Business Development at the Vesuvian Media Group. So, just how did a SWAT sniper in Alabama and scientist in Switzerland come together to write an epic, genre-blending book? It all started in 2012. Upon self-publishing the first part of his debut novel, Children of the Fifth Sun, Gareth joined a well-known author community: GoodReads.com. He even created a little teaser video for it, where he made an obscure reference to God and humanity’s arrogant opinion that we were created in His image – perhaps He created something else? This caught the eye of one Stu Jones. Stu had also self-published his first novel, Through the Fury to the Dawn. Stu’s debut work is some of the most horrific dystopian ever written, with a thread of hope in the guise of God. Needless to say, upon reading Gareth’s initial work, Stu had a lot to say. But not in a bad way. While pointing out Gareth’s blatant atheistic subtext, Stu was kind enough to give constructive criticism on the work as a whole. His review was so helpful, that Gareth decided that Stu would be a great beta reader for part 2 and 3 of COTFS. In return, Gareth reviewed Stu’s debut novel, TTFTTD, and gave constructive criticism. Again, Stu felt the feedback was so useful that Gareth became a beta reader on books 2 and 3 of Stu’s trilogy. 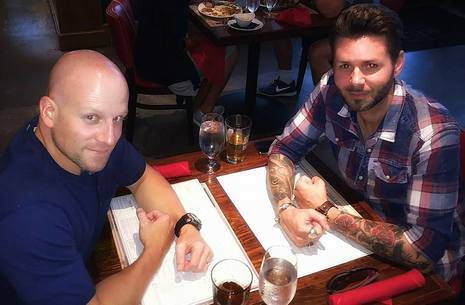 So, over the next three years, a genuinely Christian SWAT sniper from Alabama and an atheist Scientist living in Europe became friends over the internet and helped build each other’s stories. Both were better for the collaboration. Meanwhile, Gareth was busy trying to get COTFS to a wider audience and in 2013 was picked up by Renee C. Fountain of Gandolfo Helin & Fountain Literary Management, NYC. Gareth worked closely with Renee for the next couple of years (and still does). In late 2015, Gareth approached Stu about a crazy idea he had regarding quantum physics and religion. Stu was initially hesitant – he is a cynical cop after all – but after nearly a year of discussing on and off, the two finally decided to write a book together, codenamed #projectdelusion, but now revealed as IT TAKES DEATH TO REACH A STAR! Cut to April 2016. Gareth sends a random tweet to Italia Gandolfo, CEO of GHF Literary, regarding his project with Stu. Italia immediately responds, as Italia does, and asks to see what they were working on. Gareth duly sent in the first 20k words, Italia came back in 24 hours asking for a summary: she had a producer friend in California who ‘loves this kind of thing’. By July 2016, we had a publishing deal with Vesuvian Books, with movie rights already optioned and Stu had a new agent in Italia. ​The rest, as they say, is history.